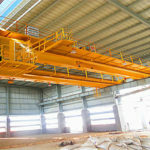 60 ton overhead crane is the lifting equipment that belongs to the heavy duty bridge crane. According to the customers’ requirements, it can be divided into many different types. Although 60 ton crane is not very large compared to other overhead cranes, its price is still quite considerable. 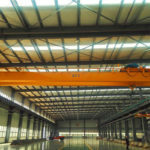 60 ton overhead crane is an indispensable equipment for modern production and is widely used in the lifting, transportation, loading and unloading and installation of various materials in various industries. In addition, it greatly reduces the intensity of manual labor and improves labor productivity. At the same time, some lifting product parts adopt certain special technological operations in the production process, so that the production process can be mechanized and automated. 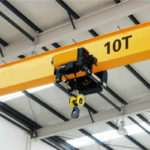 The overhead crane lifts, descends, and moves the mechanical equipment through hooks or other lifting devices. When users handle materials, it undergoes loading, transporting, discharging, and returning to the original. In the working process, the scope of work is wide. Maybe the risk factors have the higher degree. According to the safety required, we design many safety devices. 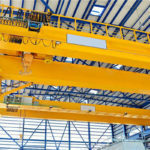 With the increasing number of , mechanical projects, the frequency of using overhead cranes becomes more and more. As an essential auxiliary equipment for our work, it plays an important role. 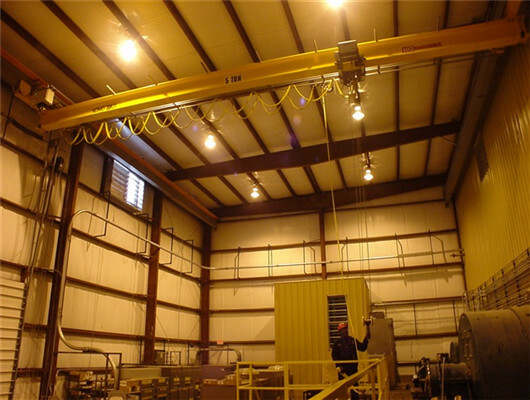 The overhead crane has many advantages of delicate operation, low noise, beautiful exterior, safety and reliability. The crane adopts the box type of main beam and automatic submerged arc welding, which increases product’s safety and reliability in working process. The new conductive device of the I-steel track cable is reliable for the trolley travelling mechanism. The lifting mechanism can be also set up a second set of safety devices according to requirements to increase reliability. Compared to other bridge cranes, it has more choices and types. 60 ton overhead crane’s parts use the design with standardization, serialization, and generalization. We install the controlling room in the 60 ton overhead crane to increase safety. The control room vision is open. In addition, all working objects are operated in the control room. It is very comfortable and flexible. If you want to add some other devices, you can choose remote control to help you. The height of the bridge crane is low, which can increase the utilization rate of the working place. The bridge crane has a wide range of operations. The bridge crane has reliable structure, light weight, reasonable load, small base load, low failure rate, and low daily maintenance. If you want to improve certain part’s capacity, we can assist the customers to make the non-standard design, which greatly enhance work efficiency. The configuration of the bridge crane is high. The electrical control is advanced and reliable, and the overall system performance is excellent. We adopt many advanced technologies. Our experts design and manufacturer in accordance strict with FEM\DIN standard. The tongs overhead crane is widely used in the fixed span at indoors or outdoors of steel mill, shipyard port and storage, etc. It especially applies to lift slab of different specification. The different kinds of tongs can equip with devices with various functions. According to customers’ requirements and specification such as different length of carrier-beam, different thickness, length and pieces, etc., we can meet the requirements of lifting equipment. In addition, we can improve the weight of the loading and unloading various materials to work in different working environments. If the clients have some requirements, we can improve the speed governing (1:10 or larger) of the mechanism, PLC control, failure detection and display system, etc. In addition, we can install overload and warning devices according to users’ demands. When you need remote controller to assist you finish the operation, we can add the driver’s controlling room and remote controller. The tongs of tongs overhead traveling crane is perpendicular to main girder, which increase the crane’s safety and reliability. It has different tonnages and designs. If you want to learn information about tongs bridge crane, please get in touch with us as soon as possible. Rubbish grab overhead crane is the important lifting equipment in daily life and working. It is widely used in the garbage feed system of different kinds of garbage power plants in modern city. The crane is located at the top of garbage storing pit. The product is mainly used for the operation of feeding, conveying fetching and weighting of garbage. The rubbish grab crane can implement lifting and conveying strictly, which ensures normal working of garbage power plant. 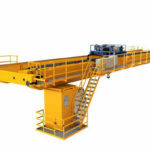 The rubbish grab bridge crane can be controlled by hand, semi-automatically or automatically. 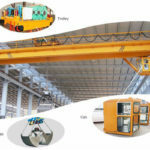 In addition, according rubbish types, we can deign different types of overhead crane and functions. We can provide the customers many types of crane. 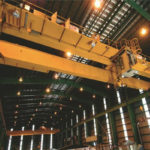 According to demands of users, they can choose right rubbish overhead traveling crane. The rubbish crane can work in harsh environment and still effectively finish the operation. 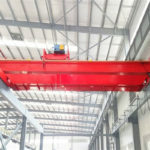 Compared with traditional bridge cranes, it has the advantages of light weight, strong structure, easy operation, low headroom, and low energy consumption, which not only reduces the crane manufacturing, transportation, and installation costs, but also drops the user’s working place height. The 60 ton overhead crane has lightweight compared to other bridge crane, and reduces the cost of its parts and crane procurement, use and maintenance. 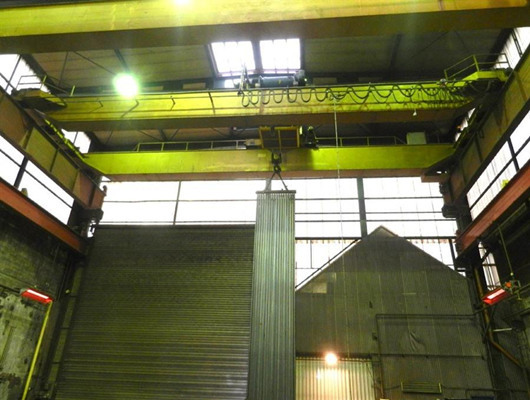 Due to the applications of domestic reducers, wire ropes, hooks, and steel properties and manufacturing processes, we take some measures to improve the crane structure. Every part has its own characteristics. If you want to learn more information about 60 ton overhead crane or other bridge cranes types, you can get in touch with us as soon as possible. As the leading manufacturer and supplier, we have lots of experience for lifting equipment. If the customers want to customize their products, we can provide them with reasonable advice.